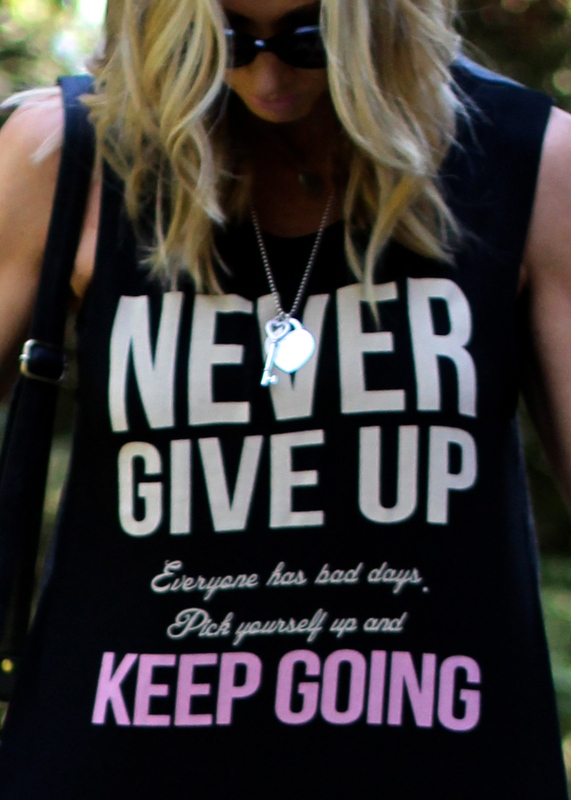 The Parlor Girl: Never Give Up! So happy I came across your blog! Love this look! Thanks for stopping by ;] Thank you for the sweet compliment! 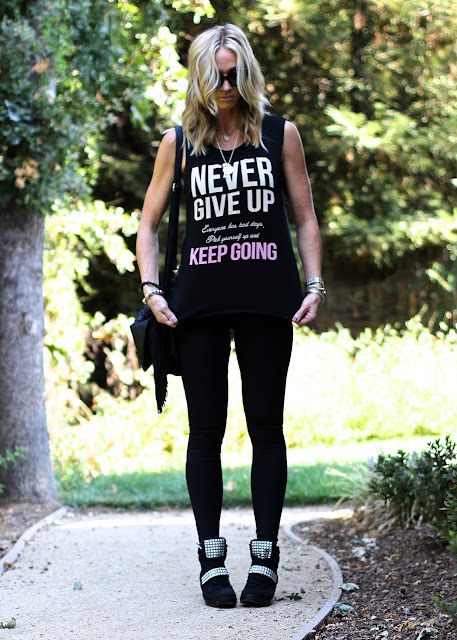 I love that shirt and the message it contains! Also, your shoes are adorable.
! !I love inspirational tees, this is very nice and funny!! Cute tank and so true!! Ummmm.. hello?! How fabulous are you?! I absolutely adore this outfit. And can we please take a moment discuss your hair? Amazinggggg!